YONGTAI (7066) forming symmetrical triangle pattern. When will it breakout ? MACD at positive region, uptrend sign. Stochastic %K trigger BUY call, pending confirmation. 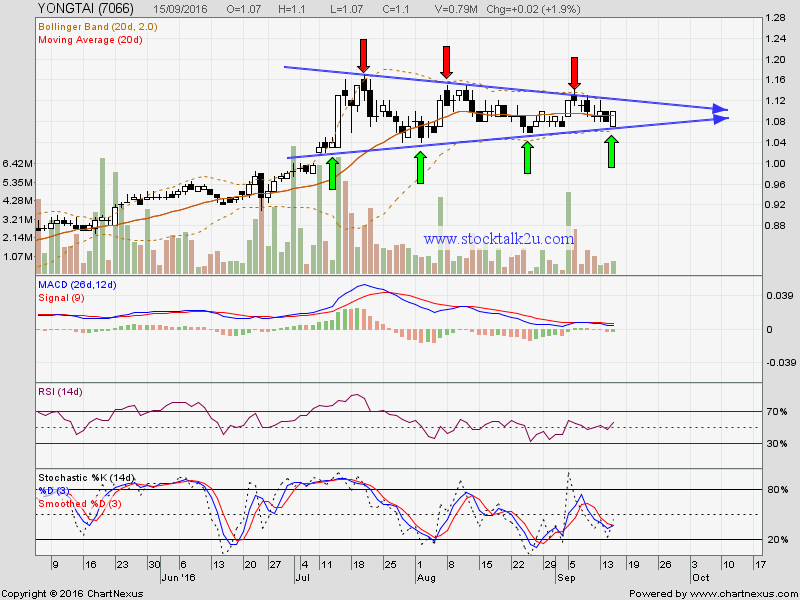 Immediate resistsnce @ RM1.12 level. subsequent resistance @ RM1.14 level. 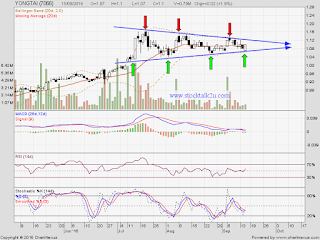 Immediate support @ RM1.07 level. Subsequent support @ RM1.04 level.